Home / Then & Now / Does This Look Wrinkled? 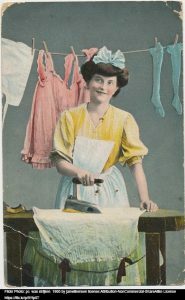 Many of us can remember our moms or grandmothers spending hours ironing the household linen and family clothes. Sometimes a whole day would be set aside to accomplish this chore. That fresh scent of starch would drift through the air making the whole house smell clean. The clothes looked crisp and new as they were returned to the closet. 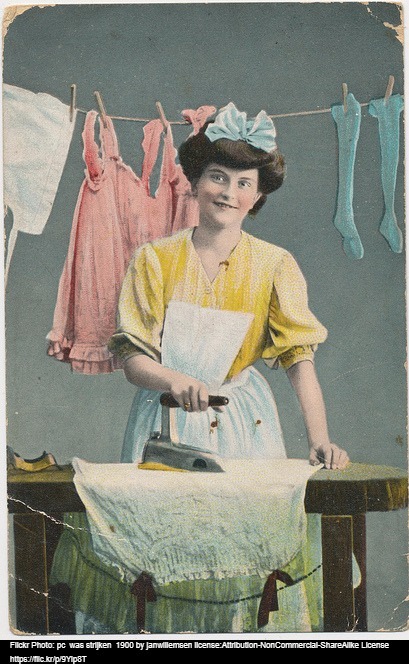 Getting wrinkles out of today’s clothing doesn’t necessarily involve an iron. Modern fabrics are designed to wrinkle less and are ready to wear. Jeans now have added spandex for that comfortable stretchy feel and rarely need to be ironed. For most millennials, throwing clothes into the dryer is often the go-to way of removing wrinkles. 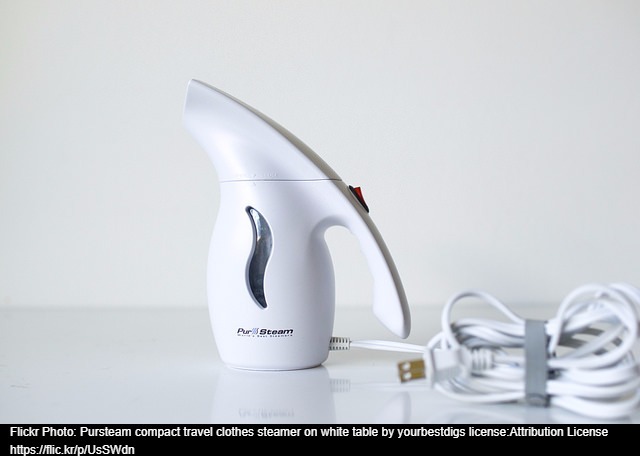 Another option is the personal-size clothes steamer. 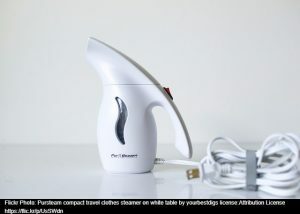 This is an easy and lightweight appliance that has replaced the iron for many young people today.